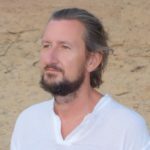 Piotr has 28 years of experience concerning therapeutic work, consulting and mentoring/coaching, both with individuals and large groups of people. He started his work 28 years ago in London and he has been carrying it on in Poland & United Kingdom both. He was adviser for private companies and corporations from the following businesses: juridical, advisory, pharmaceutical, building trade, distribution of goods, finances. Co-operation with the companies and corporations mentioned above let him learn about the needs of people working there and develop effective programs improving physical and psychic health by balancing body, mind and consciousness. It induced the feeling of happiness and fulfillment in everyday life. He is founder of the QUALITY LIFE designed to serve professionals and also people who would like to study quantum medicine and consulting practically. Ayurvedic consultant, health adviser with many years of experience in diet therapy. She graduated from the training and practice of Ayurvedic Hospital in India. Therapist working with the body methods Life Impressions, Polarity and Craniosacral. Also specializes in Ayurvedic treatments and Panchakarma. She lives and maintains a practice in Tamil Nadu, India.